I have great memories of growing up in a small town setting. During the summers, I would run and play outside until late in the evening. My friends would come over and we would play kick the can, freeze tag, and other games in our huge backyard. Insects were never a problem because my dad had set up a bug repelling lantern every 50 feet to help keep the mosquitoes and other insects away. Recently I moved to a small town myself, and, with a child who will be ten in a few months, I want to do what I can to help her have the same great childhood experiences that I did. I know that part of that is getting a good bug repelling lantern to help the backyard remain bug-free and kid-friendly. If you don’t have kids who like to play outside, you still need a good bug repelling lantern. Have you ever tried to have company over for a dinner on the back deck? In theory, it seems like a great idea: you sit on the deck, listening to the evening sounds as nature settles in for the night, enjoying a freshly grilled steak or burger. Unfortunately, such an idyllic picture can be quickly ruined as mosquitoes begin to alight on everyone, biting and causing general discomfort. 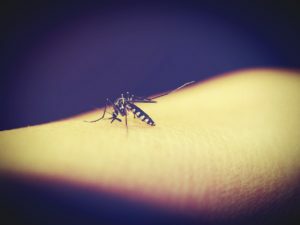 Even if you had the forethought to use insect repellant, that won’t protect your food, and you’ll find yourself in a constant battle with the flies that are drawn to the scent of your food. The answer to all of this: get a high quality bug repelling lantern. You can hang it on the deck in an unobtrusive place and enjoy your evening without all the biting and crawling insects. You’ll be glad that you did it, and your guests will be glad that you did it. We have a good selection of bug repelling lanterns available. Take some time to browse through them, and don’t hesitate to call or email if you have a question. This entry was posted in Product Blog and tagged bug lantern, bug repellent, bug repelling lantern, bug sprays.